My current project is an odd novel to write. It’s a strange mix of fantasy and reality. The reality part of the novel is the first half, where I retell how I was romanced by my Malaysian scam artist. I certainly wasn’t aware of this until it happened to me, but there are people in this world who deliberately target women on dating sites and romance them for a few months. Then they have to go out of the country for work. While out of the country, something will happen, like they get hurt on the job. Then all of a sudden they have to come up with a large sum of money to pay a doctor bill before the can leave the country they are in and come back to your loving arms. 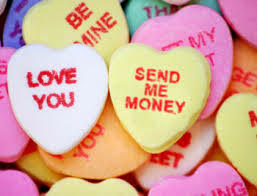 Many lonely women will send them this money and then strangely never hear from the love of their lives again. Enter Antonio, my scam artist. He tried, God bless his soul, but thankfully I was raised never to loan money to strange men no matter what the circumstances. You should have heard the shock in his voice when he asked me for the money and I replied “Um… No.” Thankfully Antonio came up with a better story than the broken leg one I read up on later, so I have something more interesting to write about, but I was amazed when I googled internet dating scams to find out how common this kind of scam is. But what a good story beginning. The first section of my book is almost completely the actual emails and texts that we exchanged with a little dialog thrown in to help it along. But here comes the fun part, editing Antonio. The man (or woman for all I know) knew how to write the kind of emails that make a woman melt, but also had atrocious grammar and punctuation. The fact that I spend some part of every day fixing his emails and texts for him is a little … disturbing on some level. I mean these were meant to hood wink me in a big way! Yet there’s something satisfying in knowing I could have done his job better had I been born a low life like Antonio. Yet, I can’t subject my readers to his grammar/punctuation errors. It’s gets a little tiresome after time. I also laugh a little when I think that a certain portion of my book won’t have been written by me. But what is he going to do, press charges for copyright violations? I think not, at least not after I already reported him to the FBI for internet fraud! Poor Antonio. 😦 I’ll probably dedicate the book to him anyway. After all, he was my inspiration. Besides being one hell of a good story, I’m hoping my book will help educate women on the dangers waiting for them out there on internet dating sites like match.com where my incident occurred. ← 28 Feb 2015: I’m back! !